Note: File Data tải về chuyển vào thư mục /Android/obb/com.gamedevltd.modernstrike. Are you a fan of the good FPS shooting games? Looking for a S.W.A.T. vs Terrorists killing games? Here is some news for you. We are ready to change an idea of free online pvp Android multiplayer shooters. Jaw-dropping graphics and optimization even for low-performing devices. Take the part in the vanguard at the battlefield of Modern Strike Online! Confront your enemy – it’s high-time to blitz! ✪ 8 battle modes for a single and team fight! ✪ Custom games that you create by your own rules! ✪ 14 maps to try different tactics and find your enemy’s weak spots! ✪ 70 types of weapons: guns, pistols, snipers, tommy-guns, shotgun, grenades, rockets and body armors! ✪ Perfect optimization even for weak devices! ✪ Easy and intuitive control! Teams battle against each other. The mission is to destroy opposing team and show who is the best player in pvp first person shooter! 1x1 battle for the winning end! Create your own rules soldier. Call your friends. Create lobby and play with your squads in the best military games! *Reminder: Join tournaments to win prize, raise your clan! 70 types of weapons: guns, pistols, tommy-guns, shotgun, grenades, rockets and body armors! Customize your weapon and get a unique test piece – change the color and get all options, from barrels and stocks to scopes. Upgrade your gear and become stronger in gun games! Claim first place and give a headshot to the one who will dare to contest the air! Regular updates and new elements are waiting for you in online multiplayer games. 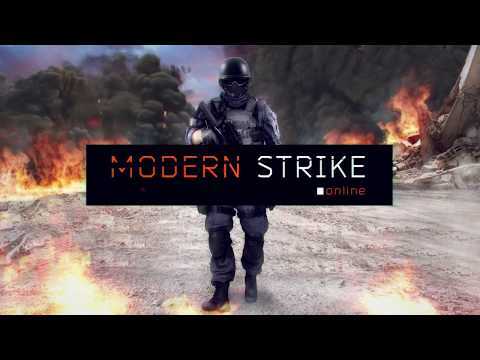 This year’s best graphics and perfectly matched sounds will make you spend your time playing Modern Strike Online! Appvn Android - Kho tải miễn phí file APK của game & ứng dụng cho Android. Tải game online, offline hay cho Android và ứng dụng Android hay nhất, mới nhất 2018, 2017, 2016 … cho Android (ứng dụng giả lập nhẹ nhất, ứng dụng auto game, app đọc sách …). Tại Appvn, bạn có thể tải miễn phí file APK cho hàng loạt ứng dụng & game hot trên Android.